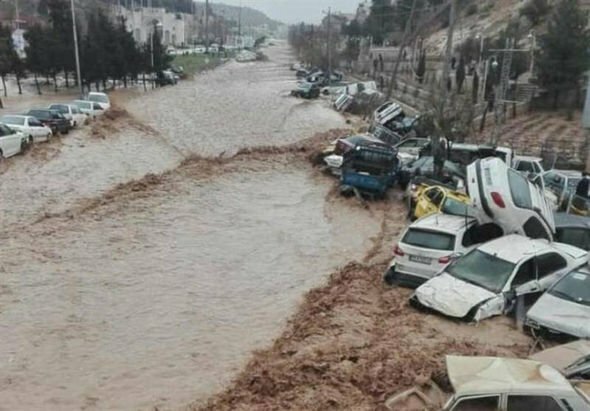 Teheran (AsiaNews) - The toll, still provisional, of the floods that have hit Iran in recent days, whose cause according to Teheran is attributable to climate change, has risen to at least 43 dead. President Hassan Rouhani, criticized for visiting the most affected areas only yesterday and too late, has spoken of an "unprecedented phenomenon" for the Islamic Republic. Struck by the tragedy, Pope Francis yesterday sent a message of condolence to the victims of the floods in Iran and of solidarity and closeness to all the Iranian people. In a telegram from the Secretary of State Card Pietro Parolin, the pontiff expresses "pain" for the loss of human lives, for the wounded and for the damage "inflicted on various regions of Iran". "His Holiness - he continues - entrusts the souls of the dead to the love of the merciful God and invokes divine blessing" that they be a source of "consolation and strength" for those in mourning. Finally, the Pope addresses a thought and a prayer to the rescuers and "entrusts the people of Iran to the providence of the Almighty God". 10 days after the emergency, the floods have reached a range never recorded in the recent history of the country. Yesterday President Rouhani visited the province of Golestan, one of the most affected by the disaster. The floods began on March 19, affecting the northern part of the country and causing the first 10 victims. The emergency then expanded, also affecting the southern and western provinces, once famous for being among the driest in the region. According to President Rouhani, at least "25 out of 31 the provinces" of the Islamic Republic are affected by the floods. Iranian Energy Minister Reza Ardakanian points the finger at "climate change" as the source of exceptional phenomena. Morteza Salimi, head of the Iranian Red Crescent, adds that "over 43,000 people have been rescued" in at least 30 provinces and about 27,000 are in emergency shelters ". The extreme weather is heading towards the eastern sector of the country. According to the weather report, new, far-reaching phenomena could occur from March 30th. The authorities have already sent text alerts to the population and state television has stepped up broadcasting security advice.